If you’re brand new to bullet journals, getting all of the supplies ready to go can be one of the initial challenges. Well, you’re going to need a notebook first and foremost. 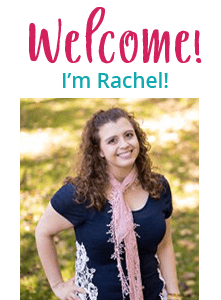 Bullet journals cannot exist without them! There are lots of options, like the Scribbles that Matter notebook, Leuchtturm1917, Moleskine, and more!. I’ve already reviewed the Leuchtturm1917 notebook back in 2017 (which you can read that review right here! ), and while it’s a fantastic notebook, I wanted to try some of the other notebooks recommended by others in the bullet journal community! 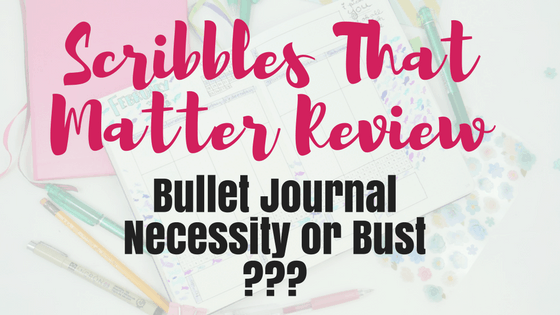 Observing many questions asking about the best notebook options in the bullet journal groups, the Scribbles that Matter notebook was often a resounding favorite amongst community members. I decided that when I completed my second bullet journal, I would try a Scribbles that Matter notebook for my third bullet journal! I am about to start month five in this bullet journal, and I feel like I have a pretty solid feel for the notebook along with the pros and cons. So, is the Scribbles That Matter notebook worth the hype? Keep reading to find out. The Scribbles that Matter Notebook comprises of three sizes (A4, A5, A6), and two layouts (dotted, grid). They offer two different cover options for each size and layout. The first option is the Iconic, named for the many different icons etched into the cover of the Scribbles that Matter Notebook. The second option is the Pro; the primary difference, again, is the cover. The pro’s primary difference from the iconic is that the cover is plain. I wish I could review every single notebook that Scribbles that Matter has to offer! For the sake of simplicity, along with the fact I have only tried one notebook, this review will focus on the Scribbles that Matter Pro Version A5 Dot Grid Notebook. I ordered my Scribbles that Matter Notebook off of Amazon with Prime 2-day shipping, and received my notebook in a similar time frame. (It’s worth noting that Scribbles that Matter only sells product off of Amazon at this time). It was nicely packaged in clear packaging and looked neat and clean. Upon removing the clear plastic, the packaging reveals it was made of ‘vegan leather’, had two attached bookmarks, an elastic band to close the notebook, and a pen holder. 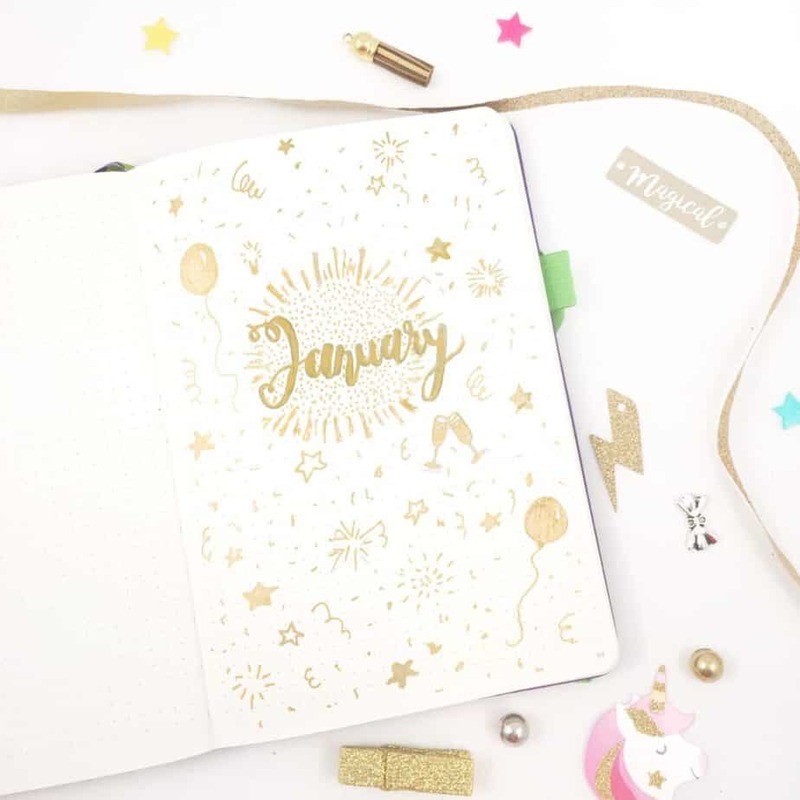 Opening the book, there were 201 numbered pages dedicated to bullet journal goodness. The first few pages consisted of an index and a key page. Toward the back, there were two pages dedicated to ‘pen testing’. The inside of the back cover had a pocket, where you could place small papers or other stationery items to store directly in the notebook. Overall, everything was clean and neat, and I loved the look! Even though the Pro version doesn’t have the icons on the cover, there are tons of cute icons on the inside cover! I use my Scribbles that Notebook for my regular use bullet journal. This review will include my thoughts on it as a bullet journal, and also how the notebook handles ‘art’ in general. My friend Leona from Instagram uses a Scribbles that Matter!! While the A5 notebook size is pretty generic for bullet journal notebooks, the Scribbles that Matter is an excellent choice for a bullet journal for many other reasons than size. The paper is thick and of good quality, and this leads to minimize ghosting and bleeding in my spreads. This means that I don’t have to stick multiple pages together if I’m trying to prevent a page ghosting to another important page (it’s a handy trick in other notebooks, though!). The general pens I use to outline my layouts glide smoothly on the paper and do not skip. When I create the rough drafts prior to using a pen, pencil marks erase neat and clean. 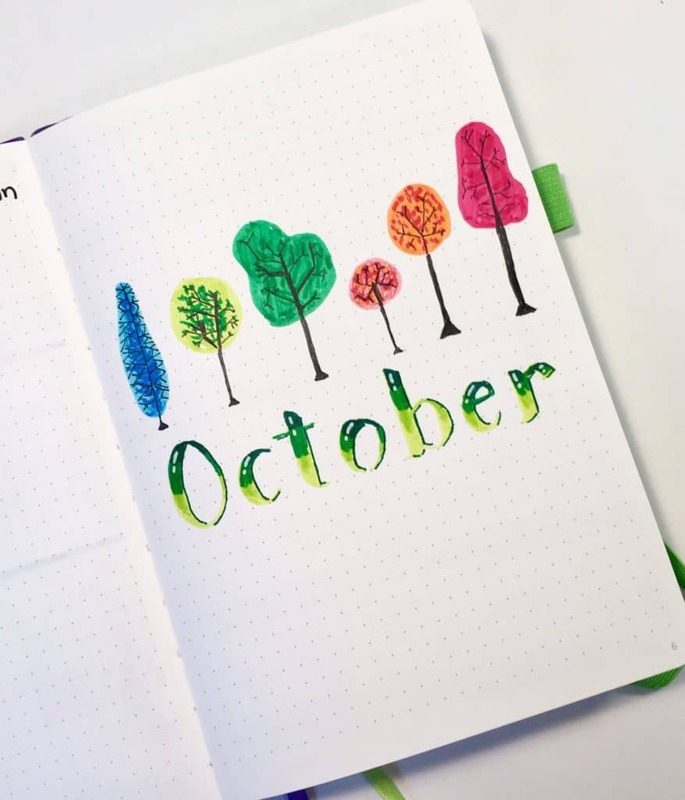 The length of the notebook means most can get 4-8 months of use (on average) as a bullet journal. The paper is more “white” in color than ivory, which is a personal preference of mine. I think it looks cleaner and pictures I take of my bullet journal spreads come out looking less yellow. 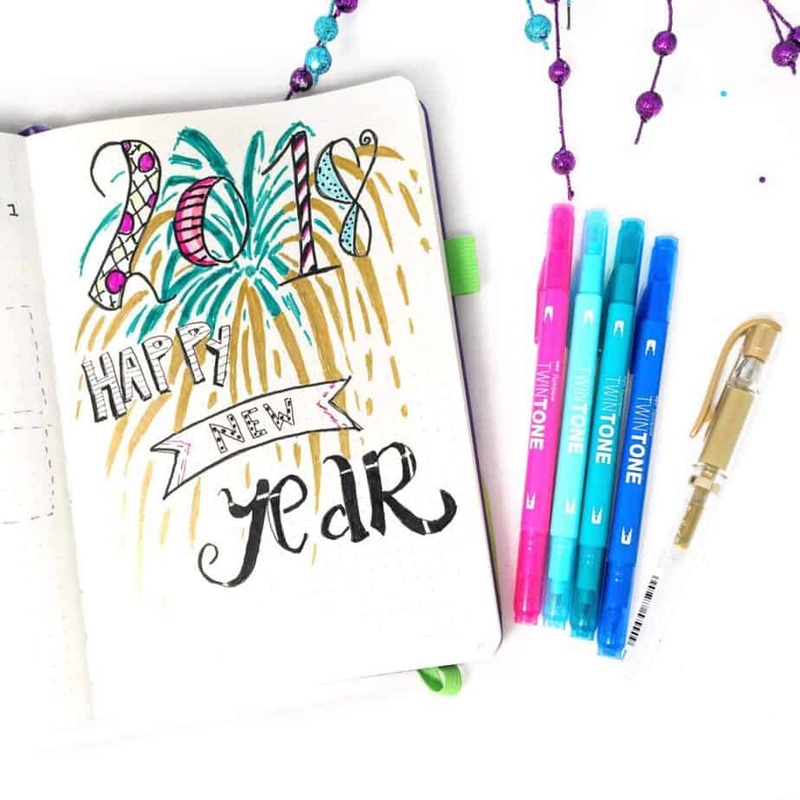 In all, it’s able to meet the needs of everything I need a bullet journal to do perfectly! Rating of Notebook function for Bullet Journal – A. A significant portion of my bullet journal includes doodles, drawings, paintings, stickers, and other media to liven up my spreads. I’ve found that Scribbles that Matter notebooks can pretty much handle everything I throw at it. The notebooks handle markers, pens, colored pencils, paint, and watercolors beautifully. You can virtually decorate your Scribbles that Matter notebook in any way you choose, and it will handle beautifully! Other notebooks have a lot of the same qualities of the Scribbles that Matter notebook; however, they differ in that typically they may only have 2-3 of the same qualities. 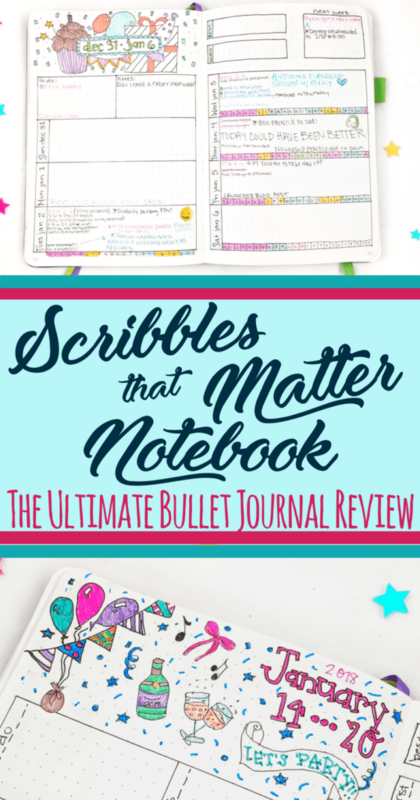 The Scribbles that Matter notebook has heralded itself to be different from other options by offering nearly every option possible that makes bullet journal life easier. I mean WOW!!!! That is a lot of stuff in one notebook. I have yet to come across a similarly priced option with all of the same features. If you want the most bang for your buck, you’ll enjoy all the elements included. There are many positive qualities toward the Scribbles that Matter notebook/brand!!! Here are two of the standout qualities of the notebook and brand! 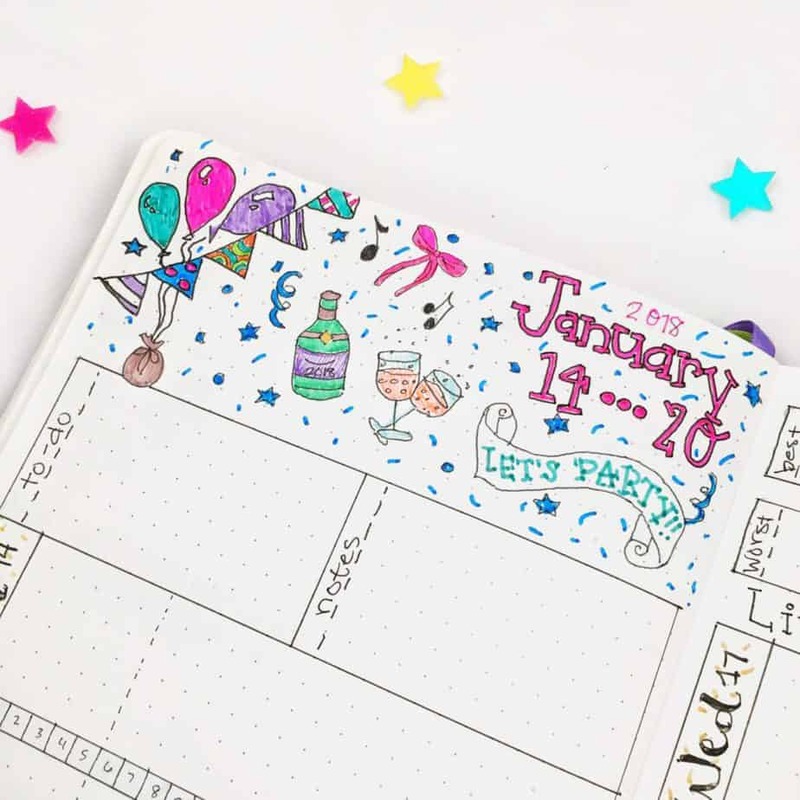 Kristen, another bullet journal friend on Instagram, uses STM for her bujo! My favorite part of the Scribbles that Matter brand is their customer service. Seriously, it is like none other than I’ve experienced with any other bullet journal products out there. I’ve seen customers (and not necessarily STM customers, either) express frustration with lack of options in the bullet journal community, only for the STM customer service team reach out and offer to help them out. 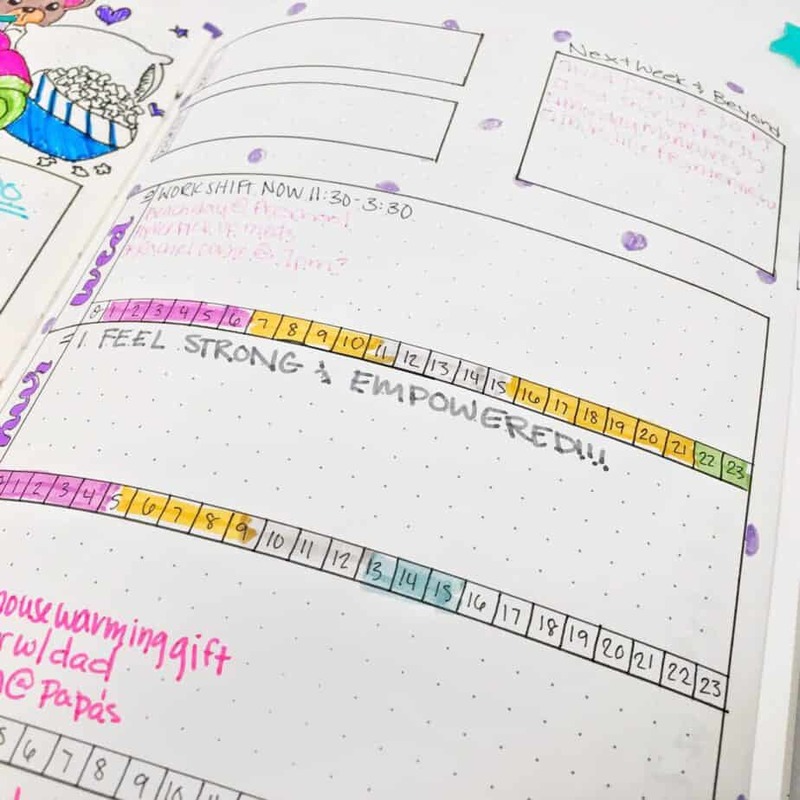 They actively try to determine needs in the bullet journal community and tailor products to meet those needs directly. With some frustrating delays as a result of customs for one of the brand new products, they’ve been wonderfully transparent with their fans about the situation. What is ghosting? Ghosting is where if you write on a page, then look at the back of the same page, you can see the “shadow” of whatever you wrote on the previous page. The Scribbles That Matter notebook is absolutely phenomenal in that there is pretty much no ghosting with the paper. Nearing the completion of my first Scribbles that Matter notebook, I’ve been surprisingly pleased with my notebook as a bullet journal. I’ve come across very few problems with the product as a whole, and the majority of them are resolvable as they relate to how other products handle in the notebook. However, I’d like to be honest and real with you. Here are the only two things that may challenge potential buyers that you should be aware of. As mentioned previously, the Scribbles that Matter paper thickness is wonderful and the amount of ghosting shown from other pens and markers is minimal. However, that said, I’ve noticed the paper is a bit more prone to bleeding than some of the other similar-priced bullet journal notebook options out there. Thankfully, even this is minimal, tends to occur more with water-based pens, markers, and paints, and really only occurs moderately with a heavy hand. If you are careful with your approach, you likely will not run into this problem. I’m relatively new to water-based products, so I suspect this occurs as I’m still getting a feel for how much pressure to apply when creating art. I’d definitely recommend leaving space in the pen testing area to get a feel for how your products handle in the Scribbles That Matter notebook. Experiment and trial and you should be able to use most watercolor products without a problem! This isn’t particularly exclusive to the Scribbles that Matter brand in general as the price point of $20 is very normal for a lot of comparable bullet journal notebooks. 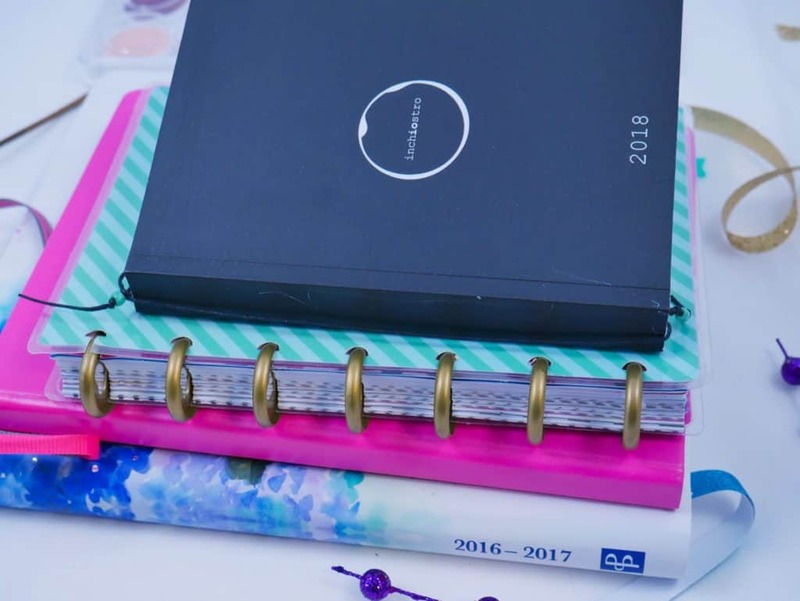 But people who aren’t accustomed to the higher notebook costs of the most common options in the bullet journal community may find the price a bit beyond what they’d be willing to pay. I get that! I know the first time I purchased my first ‘nice’ bullet journal notebook, I was a little surprised by the cost as well (though, I’ve learned pretty much every hobby out there offers high end, high-cost products). So, why should you spend $20 for a notebook? Especially this notebook? The notebook is going to save you a lot of time, especially if you take advantage of the numbered pages, the index, and the key. All of it is pre-made and ready for you. I can’t think of many notebooks in general that offer as thick of paper. If bleeding or ghosting bother you immensely, it’s definitely worth the cost to eliminate those frustrations. The quality of the notebook is superb. This notebook isn’t going to fall apart on you halfway through its life. If something is wrong with the notebook you receive, you know that you won’t be disappointed! They have amazing customer service, and they are quick to fix any problems with your notebook. So yes, $20 for a notebook seems like a lot of money. However, there are so many positive attributes when you purchase a quality notebook. With a quality notebook, you have a long-lasting tool to look back and reflect on forever. You want to make sure it will last the notebook will last that long. Scribbles That Matter doesn’t offer quite the same variety that Leuchtturm or Moleskine has to offer in size, options, and looks. This particular review focused on the A5 Dotted Pro Notebook. But you’ll find lots of other choices to suit your needs if you need a different size or page layout. A visual look at the different sizes on Scribbles That Matter’s Instagram Page! So this is literally a brand new product Scribbles that Matter just released THIS WEEK. Mine is on the way!!! 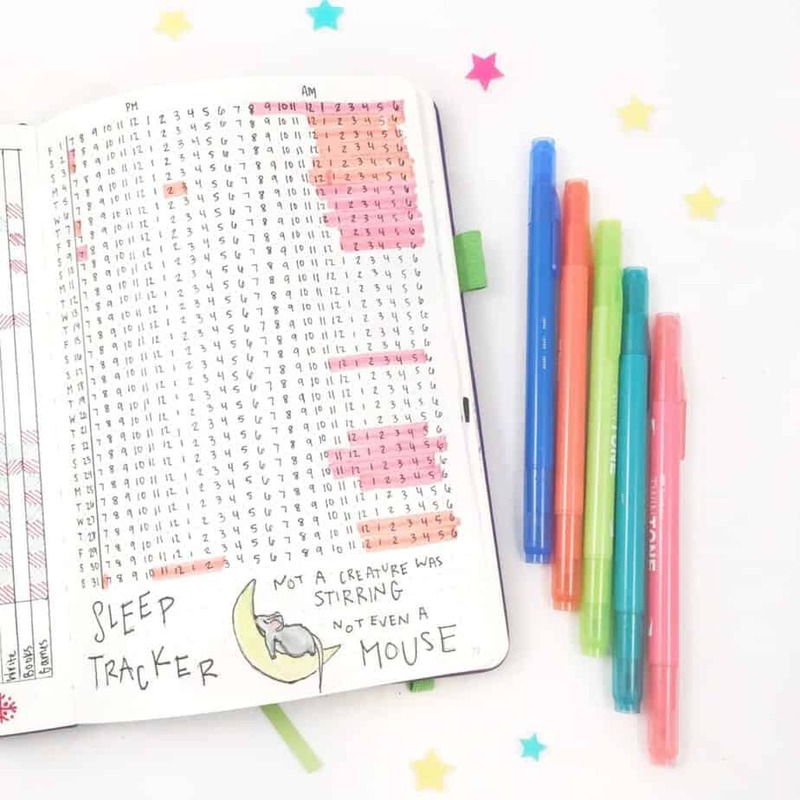 Scribbles That Matter recognized the need that there are many people who want to bullet journal, but may not have the time to create one. This planner is structured much like a bullet journal, but all the spreads are ready for you to fill in once you receive it in the mail. If this is something you’d like me to review, let me know and I’ll be happy to piece together the review! The Scribbles that Matter A5 Dotted Notebook receives a personal grade of A-. Everything about the notebook is pretty much perfect for a bullet journal. It includes everything to make your life easier! The notebook has a wonderful selection of sizes and colors, and their customer service is like no other. The only mild frustration is how the paper handles heavy watercolors or other water-based writing tools. If you frequently use these art mediums, keep pressure light and avoid going over the same spots top prevent bleeding. You will not be disappointed with a Scribbles That Matter notebook for your next bullet journal! It’s been a terrific option and I envision myself using these much more in the future for my notebook needs. 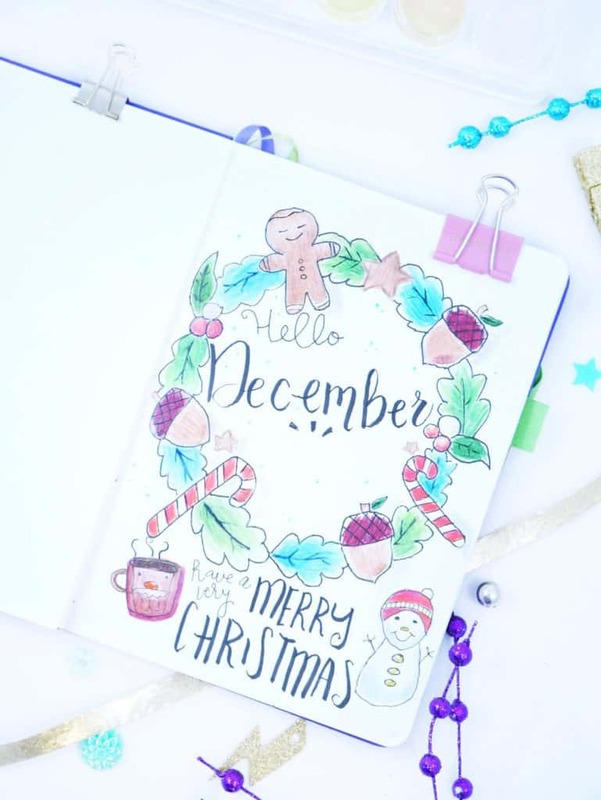 I’d love to start doing reviews of more bullet journal products in the future, so please make any suggestions for product reviews in the comments! 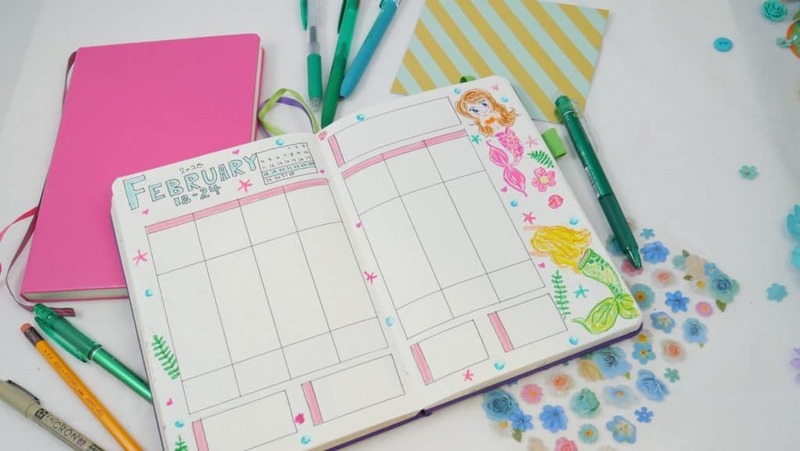 PS- Want to know about some of the other awesome products for bullet journals?!?! 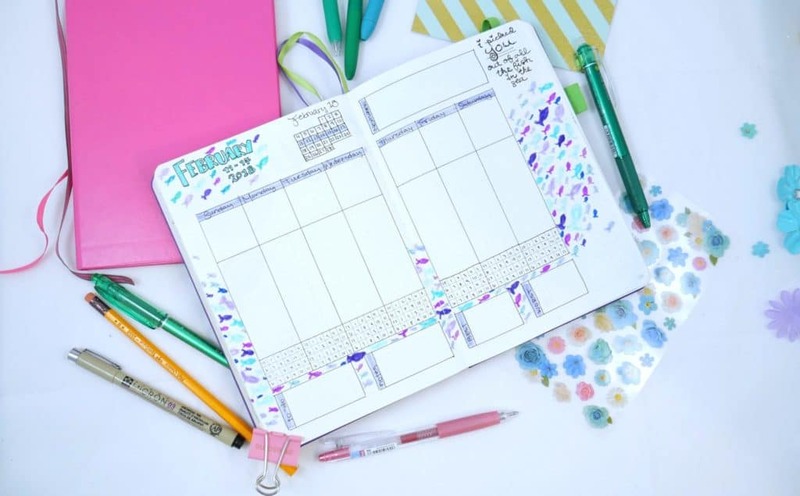 These are my must-have tools for my bullet journals, and here is a comprehensive list of popular bullet journal products you can get on Amazon!!! Please help others by sharing on Pinterest!